Since its inception the Company has been engaged in the field of oxygen absorbers over 3 decades with investment in cutting edge equipment; moreover, the Company is run under innovation and customization for making items of high quality meeting the demands of clients and markets. The new knowledge and information introduced to the employees under the training for the R&D team as well as the safety testing equipment under severe operational procedures of testers of leak of seal, seal of package and oxygen of package secures the strength of R&D and testing on non-oxygen chemicals in addition to the competence of private R&D, making and design. The R&D team of the Company with the experience more than a decade has obtained the certification of ISO-9001/2008/22000, the US FDA DMF No.23236, Japan Food Research Laboratories toxic-free, MSDS No. 41021512-002, RoHS2002/95/EC for item packing and contents, food oil print for item printing, the EU EN71-3 and a dozen of SGS tests. The Innovativeness and competitiveness are secured by the R&D competence as the footstone for the top status of the Company in the industry of food preservation and moisture absorption. The Company will keep striving for becoming the nationwide and worldwide top brand. 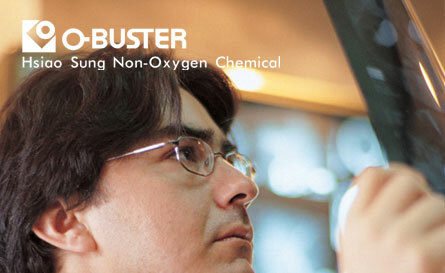 Hsiao Sung Non-Oxygen Chemicals the expertise for oxygen absorbers, desiccants and food fresh-keepers.